Celebrate the strength of the Lord when you advertise your religious event in advance with stunning Big Heart Flyers. 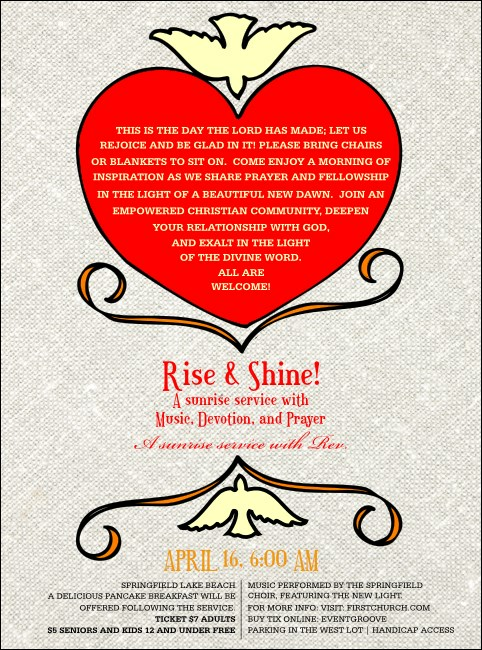 Each Flyer features a big red heart with two peace doves, and includes room to add up to twenty six lines of text to the template for event details, scripture, or any other divine information on a background with a unique, embroidered look. Uplift your advertising voice with TicketRiver.com.au.